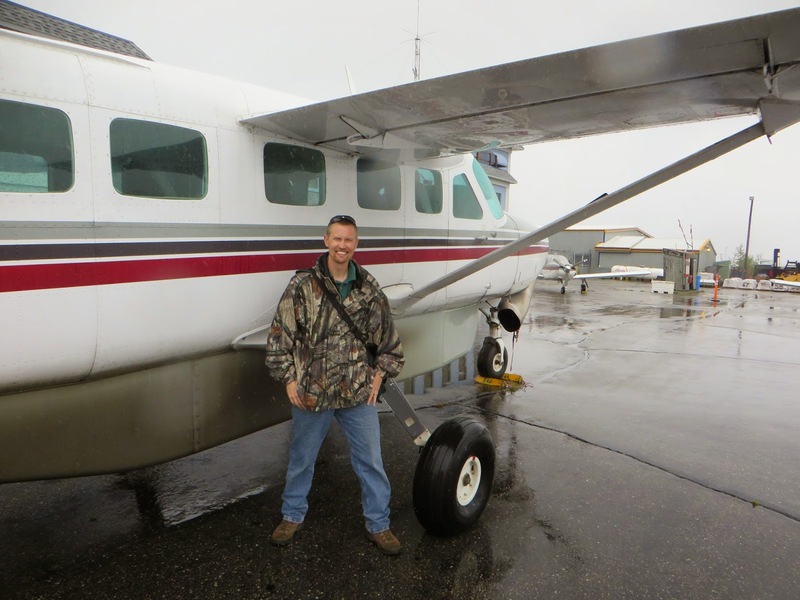 If you have never flown on a light aircraft in Alaska, I hope you have the opportunity at some point in your life. If you are one who has the innate fear of flying already ingrained into your mind, it can be a harrowing experienced. 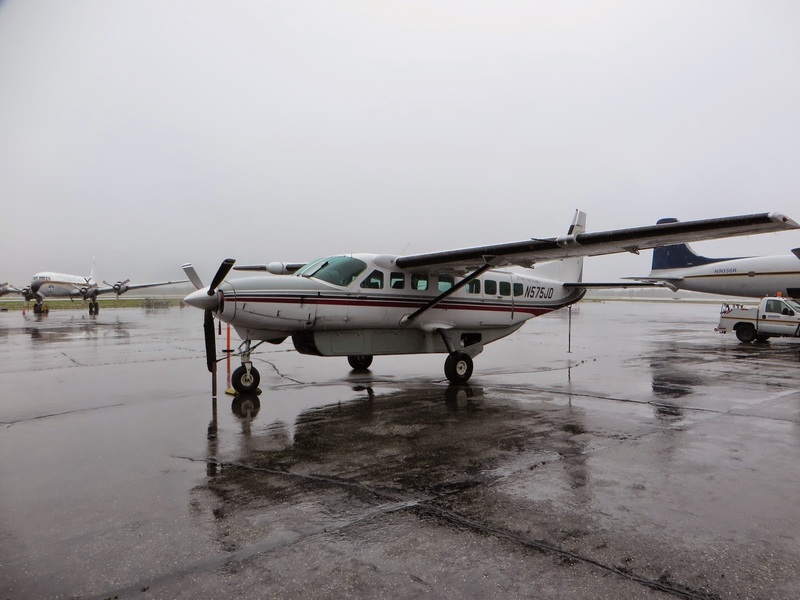 When we departed Fairbanks in the Cessna Caravan it was under IFR conditions, which translates to Instrument Flight Restrictions for non-piloting folks. To put in more simpler terms, the pilot can't see anything, and some soul in a radar tower is guiding you via radio to make sure you do not crash into a mountain or other Aircraft. 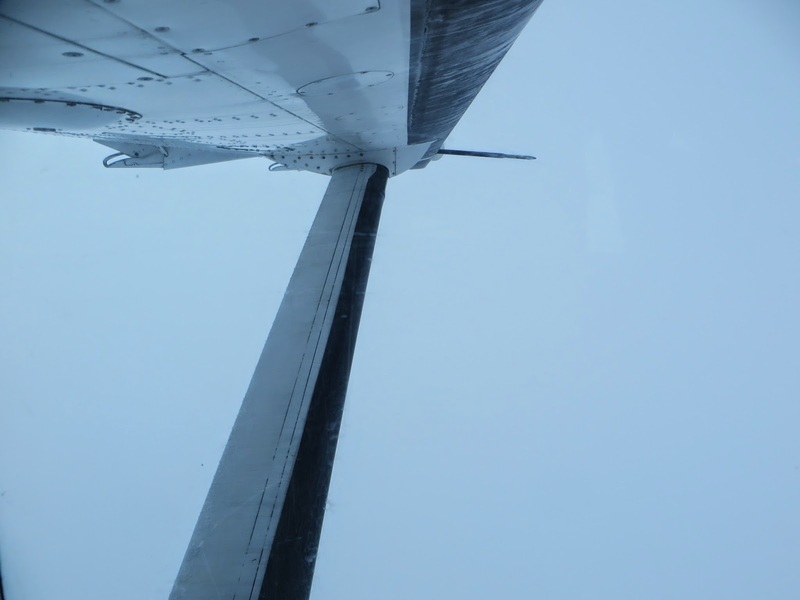 As we climbed to altitude the sky turned into a thick white soup that completely blocked any view of the ground. 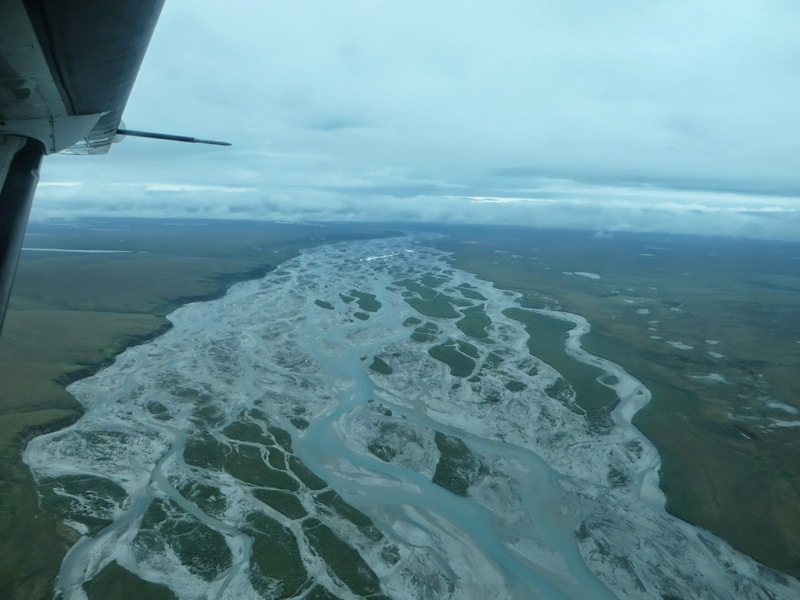 This continued for most of the flight, besides the occasional glimpses of the rugged terrain below. 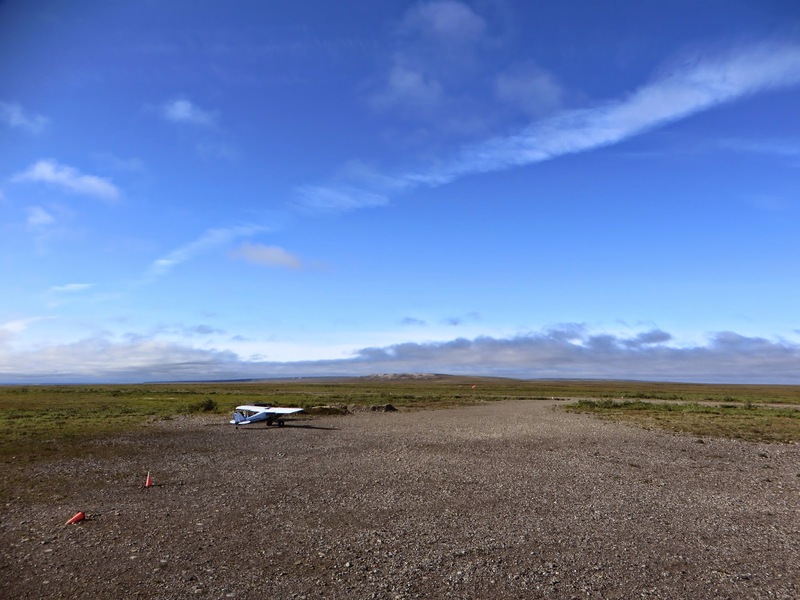 About 40 miles from Kavik River Camp the pilot dropped the Caravan below the clouds and flew below them with a view of the tundra. While the tundra was an awesome sight, it was daunting all the same. There was water everywhere, not only lakes and streams but the ground itself was saturated with water. I was happy I had brought two pairs of boots, but determined to make the best of the wet situation all the same. Landing on the runway was rough and the sound of gravel under the planes tires was a new experience in flight for me. After unloading the plane we were given a quick tour of camp by Sue Aikens, and an introduction to tundra safety. We were warned about the bears and to keep our eyes open and aware of our surroundings, even while at camp. I knew she was not joking when she showed me repairs to buildings from when grizzlies had come through the walls in search of food. I found camp to be one of the best hunting accommodations I have ever had. Running water, hot showers, electricity, excellent cooked meals, and even a washer and dryer were on hand for use. 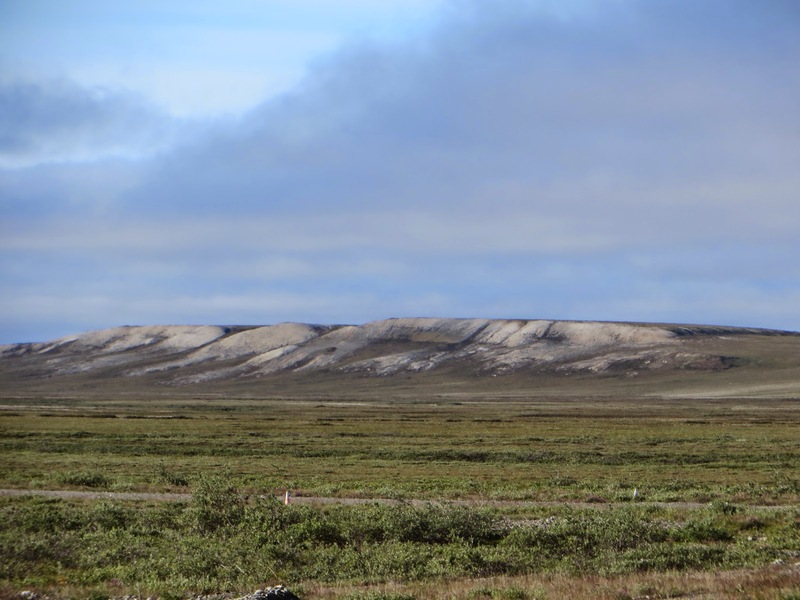 If you are wanting to go the Alaskan tundra, I highly encourage you to consider Kavik River Camp as your destination. The camp has a ladder to the top of one of the sleeping trailers that is commonly revered to as "The Perch." Sue warned us that said ladder was not OSHA approved and climbing was at our own risk. This is the place to climb up and glance at the surrounding terrain. 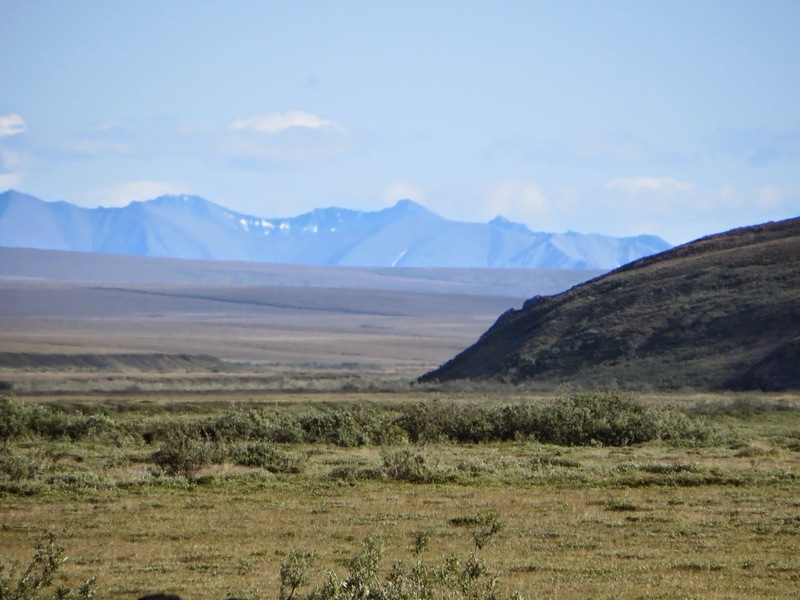 On my first visit to The Perch I saw a grizzly on the Kavik river that flows next to camp. He was majestic to see, but a vivid reminder there were big bears nearby. Alaska has a law that does not allow a person to hunt the same day as they fly. This resets everyday at 3 AM, and theoretically a person could land at 2: 59 AM and then hunt at 3:00 AM. We unfortunately landed at 3:15 PM and had to wait for 12 hours to begin our hunt. I have high hopes for Caribou and great stories as I prepare for the hunt of a lifetime.